made of mosses, grass-stems, and leaves, with an inner cup of finer material and hair. Both sexes build the nest but the female usually completes it and builds the cup. 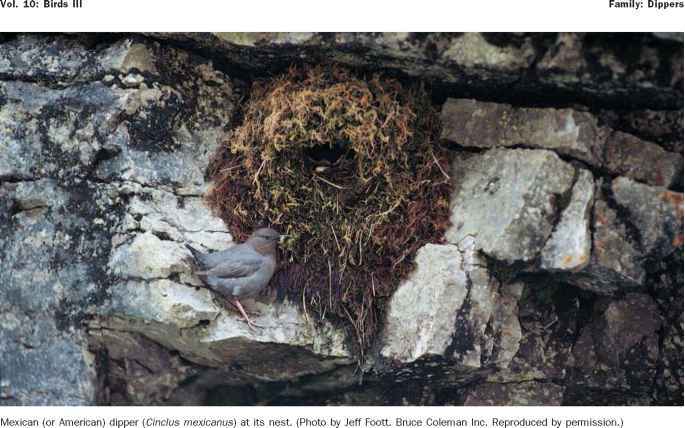 Nests are usually situated close to water, most often actually above it, and sometimes behind waterfalls, in crevices in rock-faces, or in artificial situations such as under bridges. Eggs are white, up to seven in temperate populations but frequently only two in the tropics. Incubation is mainly or entirely done by the female, usually for about 16 days; young are fed by both parents. 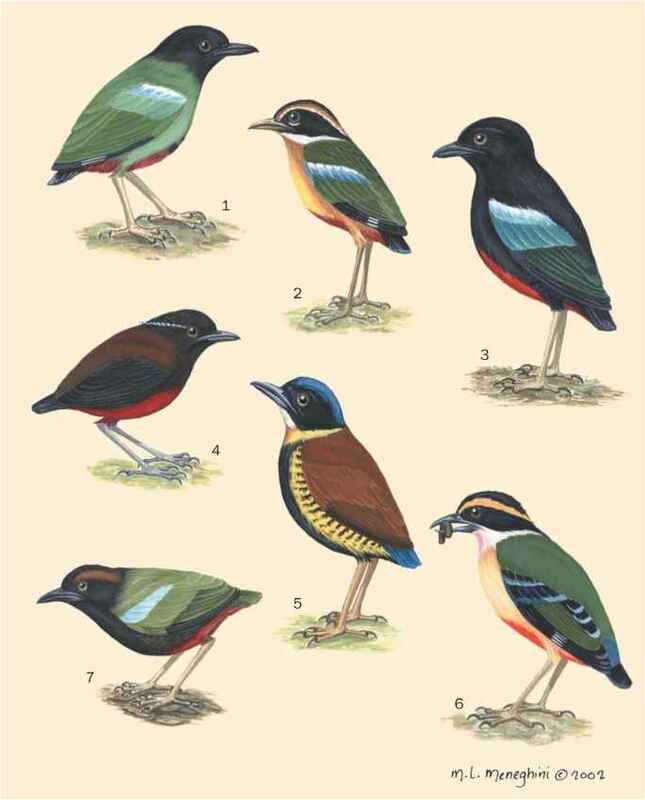 Fledging period (where known) is usually about 22 days. 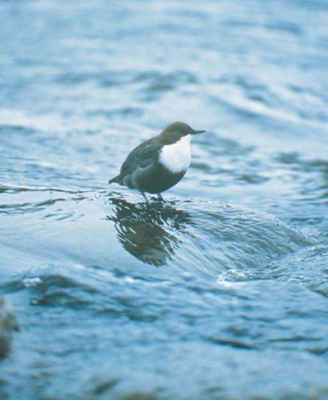 Temperate populations frequently produce double broods.